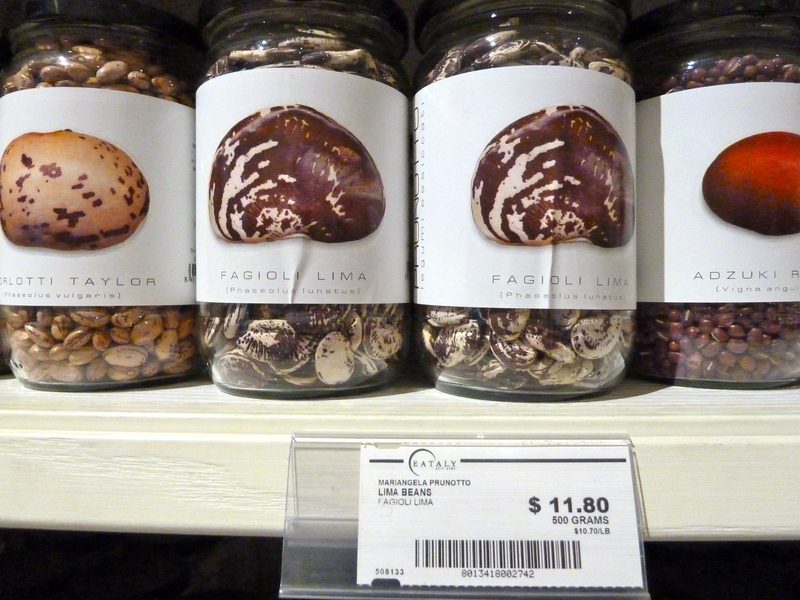 I admire the quiet confidence of this dried bean packaging, imported straight to the shelves of New York’s Eataly. For the price, though, I’d reach behind the wrinkled front display specimens, and get a jar with a smooth label. And then I’d probably be hesitant to use the beans because I’d want this beautiful jar sitting at the front of my pantry. That’s why I settled for the picture. For that price, those beans better sing to me and not just ‘jump’!